Always, I have loved birds. I think they are amazingly beautiful creatures, creations. There is no accident in the way they were created. 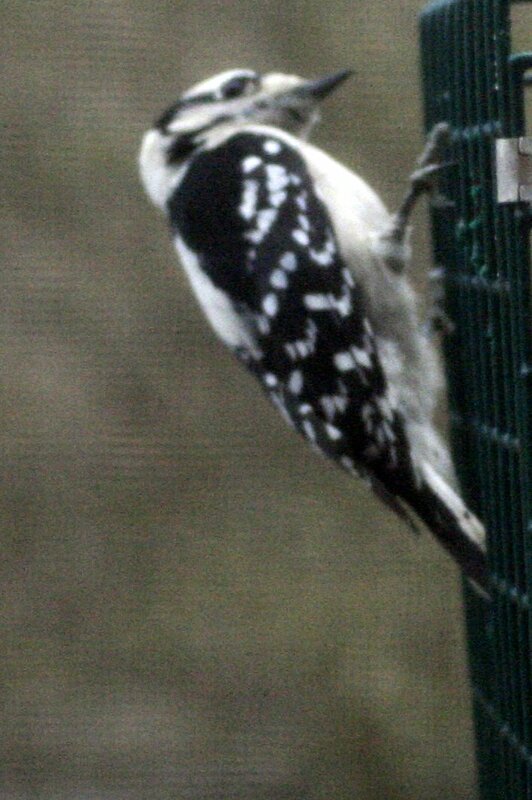 The woodpecker in the first picture is different from the one in the other photos. 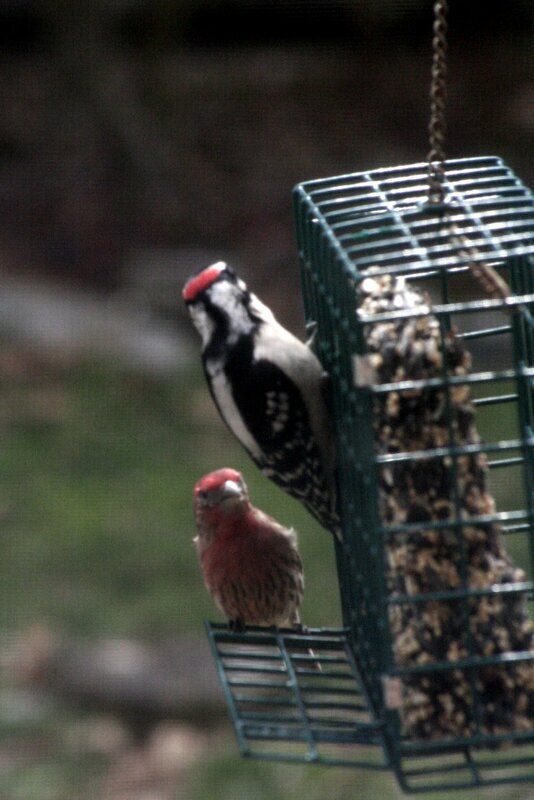 This one has no red on his head, while the other does. I’m sure there is an explanation of that in my bird book, but I’ not sure where that is, and right now, I’m just enjoying being able to watch them. 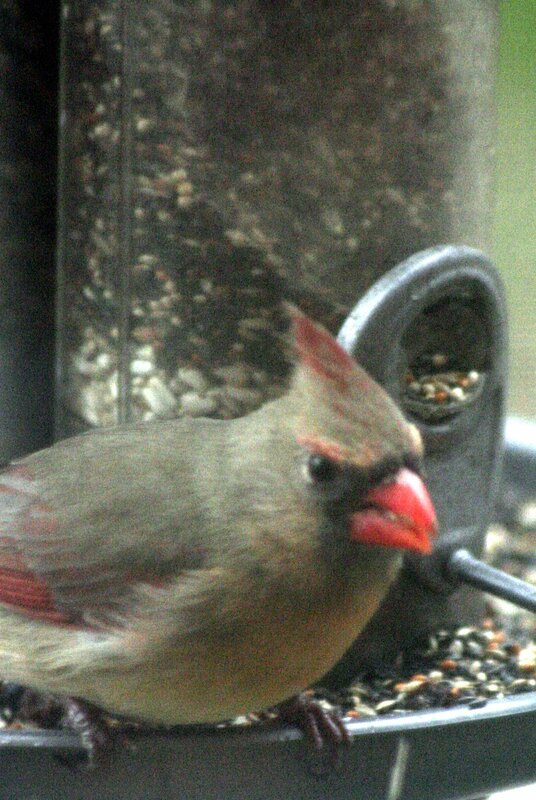 The mama cardinal has such muted colors. I know it’s a protection thing, but I still wish she could look just a bit brighter. I feel certain she could peck the heck out of anyone that threatened her babies–that’s for certain. This little fellow looked right up at me. 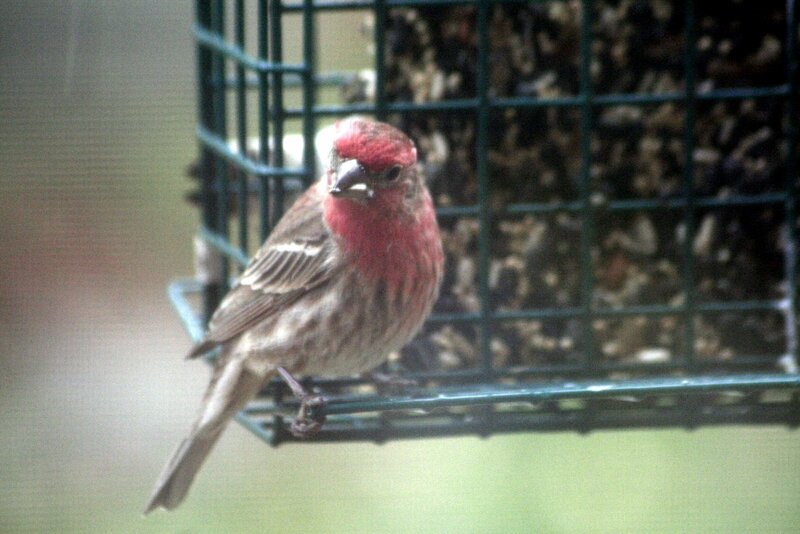 I don’t know that he saw me, but I saw him and thought that perhaps he gets overlooked because there are so many like him that land on the feeders. I don’t remember what they’re called. I’ll look it up, too. The woodpecker telling the little man to get lost was probably my favorite moment of the day–not because little man deserved to be picked on, but because the conversation didn’t seem so far from human conversations I’ve witnessed.